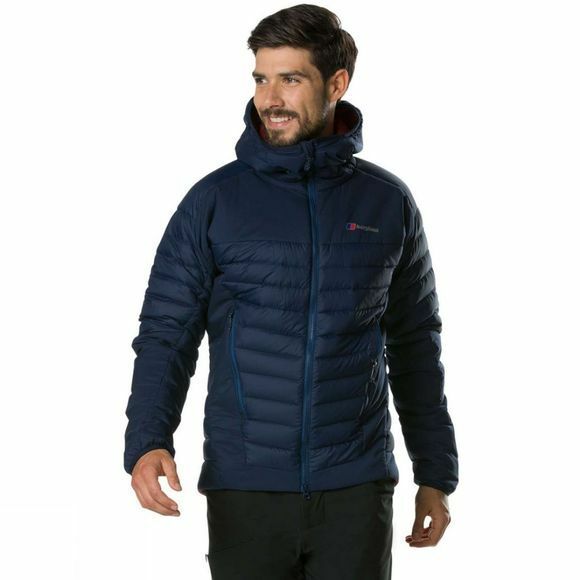 The Men's Ulvetanna Hybrid 2.0 Jacket is an exceptional mountain hybrid insulation jacket. Built for active comfort and warmth in extreme mountain conditions, it fuses down and synthetic insulation into a body-mapped design to target warmth and breathability in key areas. 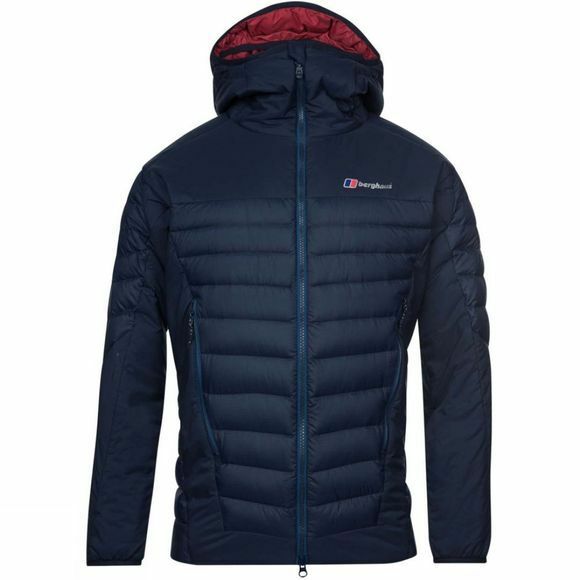 With Berghaus' Hydrodown and Hydroloft, active mountaineers can benefit from the best of these two technologies. Hydrodown panels are located where the user needs to retain heat, with the 700- fill-power Hydrodown offering excellent warmth-to-weight. It is also has a Nikwax treatment that provides water repellancy for up to 16 hours. Hydroloft Elite Pro synthetic insulation panels are located in areas where you need heat stability and enhanced breathability to stay in thermoregulatory comfort. The overall package is a high-performance jacket for serious mountain expeditions. The Pertex Microlight main outer fabric is lightweight, windproof and breathable and features some stretch. A durable plain weave fabric is used in body-mapped areas that deliver enhanced breathability. Performance garment tailoring throughout allows for dynamic body movement while climbing and belaying. Other features include a climbing-helmet-compatible hood with front face and rear head adjustment. The peak of the hood is stiffened with micro wire to keep the elements away from your face and an internal stretch gaiter gives improved fit and prevents cold air entry over the top of your head.